Designer store catering to “the flamboyance of the Africans” brings modern African luxury to Nigeria’s rich. So, Reni Folawiyo, a businesswoman married to one of the 11 — multi-millionaire Tunde Folawiyo — decided to create Alara, a four-storey building housing a mix of African fashion, design and art and a selection of work by Western designers, complete with a gourmet restaurant. Nestled in the heart of Lagos, the store does not attract droves of shoppers in a country where the vast majority still lives on less than Dh7 a day, but it already has its share of discreet regulars who rarely leave the building empty-handed. 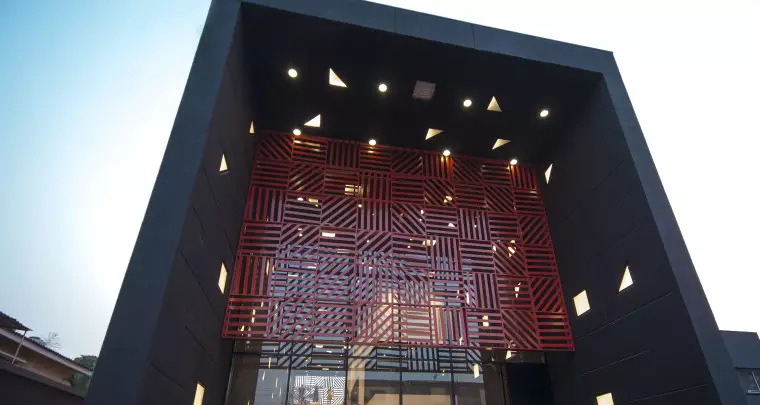 The building itself — an imposing black and orange-ochre bloc whose square, openwork patterns bring to mind Nigeria’s traditional Adire textile — was designed by David Adjaye.